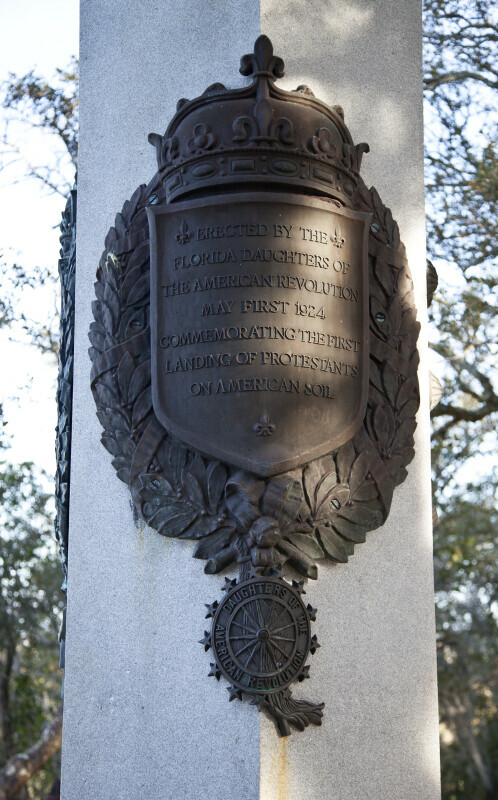 A plaque on the corner of the Ribault Monument commemorating the first landing of Protestants on American soil. "Erected by the Florida Daughters of the American Revolution, May First 1924, commemorating the first landing of Protestants on American soil." WARNING: You are about to download a 50.9 MB TIFF!